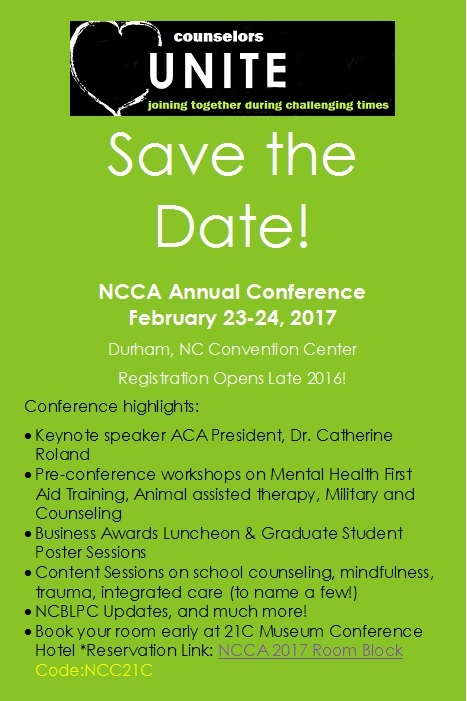 The Wake Forest Counseling Department has a strong showing at the recent North Carolina Counseling Association Conference. The NCCA annual conference took place Feb. 23-24 in Durham, NC, and featured numerous presentations by students, faculty, and alumni as well as poster sessions by 14 current counseling students. Meghan Hall–Persistent Complex Bereavement Disorder–Fact or Fiction? Taylor Griffith–What is Anorexia Nervosa and What Works to Treat It?